The Chief of the Visa Control and Reporting Division at the U.S. Department of State, Charles Oppenheim, recently shared the expected projections for monthly and annual visa demand and Visa Bulletin projections regarding family and employment based green cards. It is important to note that these projections may be subject to change based on the reported or observed visa demand witnessed by USCIS and the U.S. Department of State. According to AILA (American Immigration Lawyers Association), some FB-2A beneficiaries might have been waiting until comprehensive immigration reform would come to pass, to file for their green cards. With no sign of immigration reform in our midst, demand is now “catching up” to the posted dates as more petitions are being filed. 85% to 95% of these cases are processed at U.S. consulates. 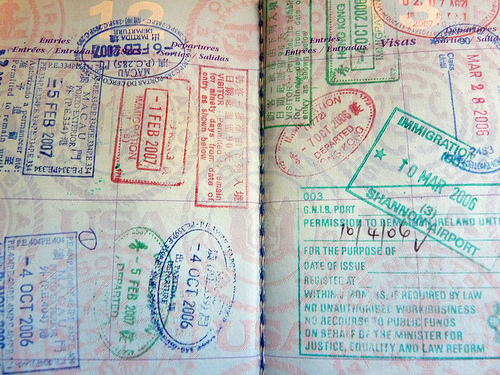 For FB-2B visas demand is expected to slow down resulting in a faster advancement of these visas. It is projected that the following scenario could occur: due to the projected faster advancement of these visas, demand will increase significantly resulting in slower movement overall for the next fiscal year, as can be seen in the Worldwide FB-2A category. Chinese EB5 visas are expected to retrogress later this year as demand increases and slows down the movement of these visas. Such retrogressions are inevitable in the 2015 fiscal year due to the pending 7,000 I-526 applications, 80% of which are from China. This August or September it is expected that EB-2 visas for India will open at 01/01/2008 or later on in 2008, in order to make use of the EB-2 visa numbers that were left unused by the Worldwide categories. How many numbers will be utilized depends on the usage of the EB-1 and EB-2 in the Worldwide categories for the rest of the fiscal year (it could be 5,000 or more). It is projected that this number will be less than what was available during the 2013 fiscal year. There are no expected changes for the Worldwide EB-2 category. The Visa Office does not know the exact eligibility of applications, therefore over the last 5 months, USCIS has advised the Department of State to advance the category. Demand for this category is currently increasing which will likely slow down the advancement of these applications. This will necessitate a move from USCIS within this year to slow down demand for this category. The last quarter of the fiscal year for 2014 looks grim, showing no movement nor retrogression. High demand is expected to continue. A change may be imminent as early as May or June in the Visa Bulletin depending on the amount of demand. AILA projects that if the FB-2A category for China retrogresses due to the Worldwide FB-2A retrogression, the unused FB-2A demand could be used by China EB-3. It is important not to delay filing your I-485 adjustment of status cases. For the EB-3 category, if your priority dates are current, you should file your case now since the Worldwide EB-3 category is expected to retrogress in early June of this year. The category may no longer be available as early as June if applicants delay filing.